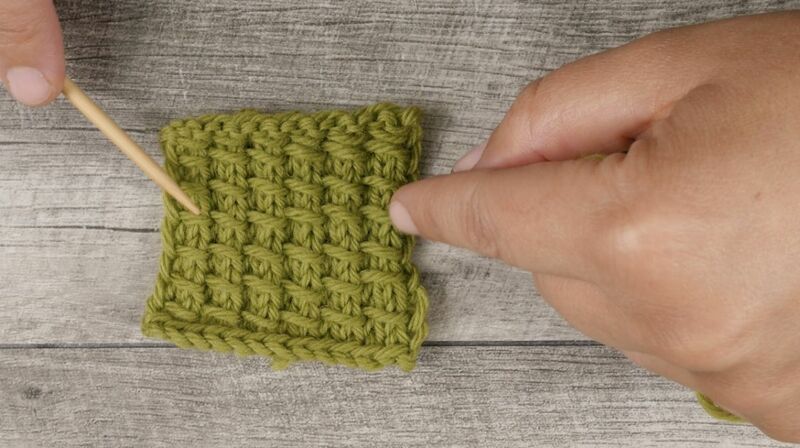 Here's a unique stitch that looks like stalks of bamboo, demonstrated in the video above. The bamboo stitch creates a stretchy fabric similar to a knit rib. You can knit the bamboo stitch flat or in the round. Watch the video for more ideas about how to incorporate this textured stitch into your scarves, gloves and other projects. A quick knit, the bamboo stitch is just a two-row repeat. You’ll need to know how to knit, purl, yarn over and pass a stitch over. Pro tip: When knitting in the round, on row 2, knit instead of purl. Pro tip: For expert edges, slip the first stitch in every row for neat edges that roll less. If the stitch would be knit, slip it knit-wise. If purled, slip it purl-wise. Cast on an even number of stitches: two for each "stalk" of bamboo, plus two. Row 1: k1, *yo, k2, pass yo over, repeat from * to end, k1, turn. Repeat rows 1 and 2 as desired.